Get Your Tickets For Heckfest 2019!!! It's been a long time in the making, but now the wait is finally over! 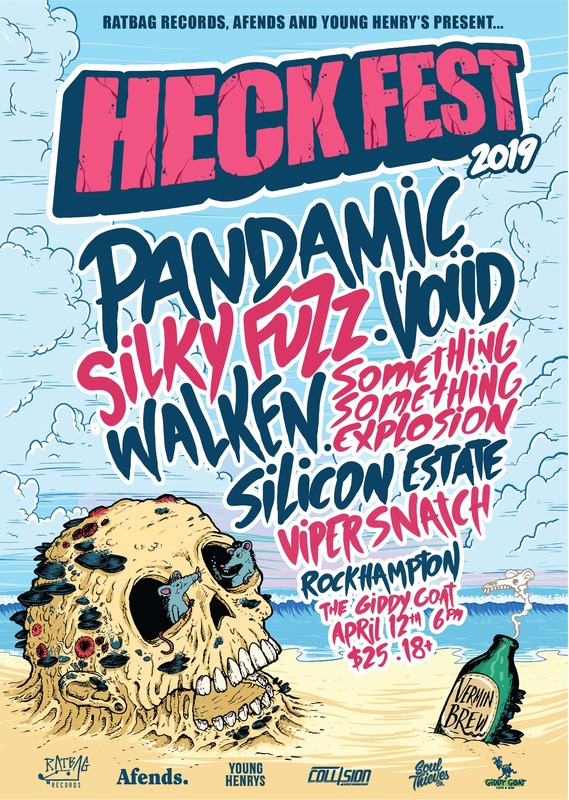 Pandamic are returning to their hometown of Rockhampton to tear up the old stomping grounds for HECKFEST! There will also be a range of both home-grown talent & rising acts to get around. It all kicks off at 6pm on April 12th at The Giddy Goat, whose stage has graced acts of all sizes over the years, including the likes of Brisbane beug-lords, Dune Rats.